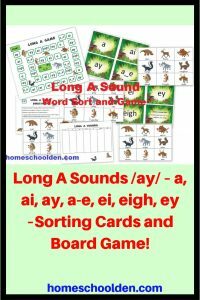 Here are some fun activities to work on the long A sound. 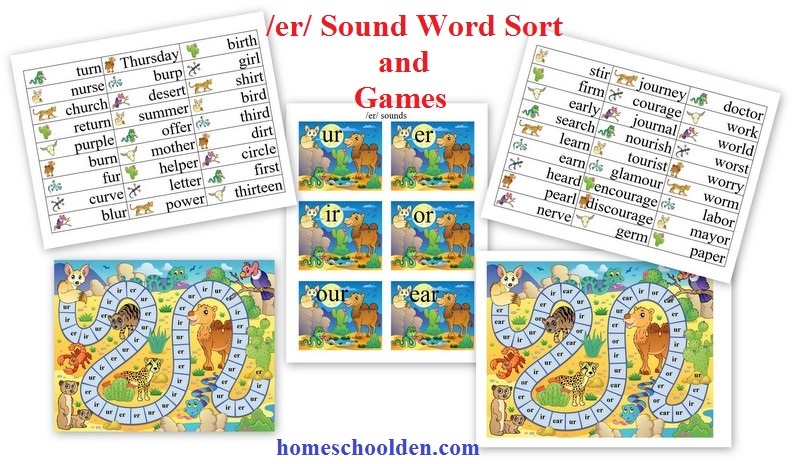 I made these sorting cards activities, game board, and bingo cards for ED. She has had a lot of fun with this packet! 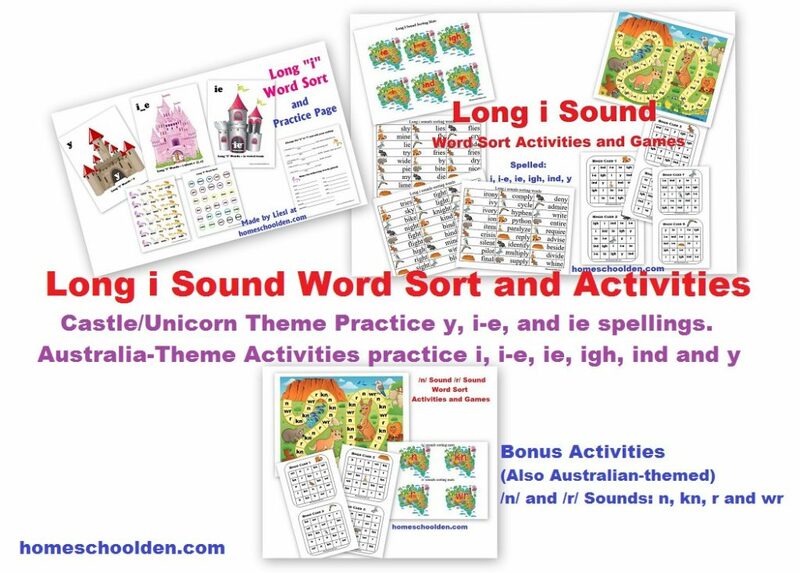 She hasn’t yet worked on all of the Long A spelling variations, but this will start getting her familiar with some of the spellings she will tackle in her spelling curriculum (we use All About Spelling (affiliate link)) a little later. This printable has 7 pages of words which we printed out on card stock. She has been sorting about 1/3 of the deck each day before we sit down to play the board game. Both of the girls have enjoyed playing this game. 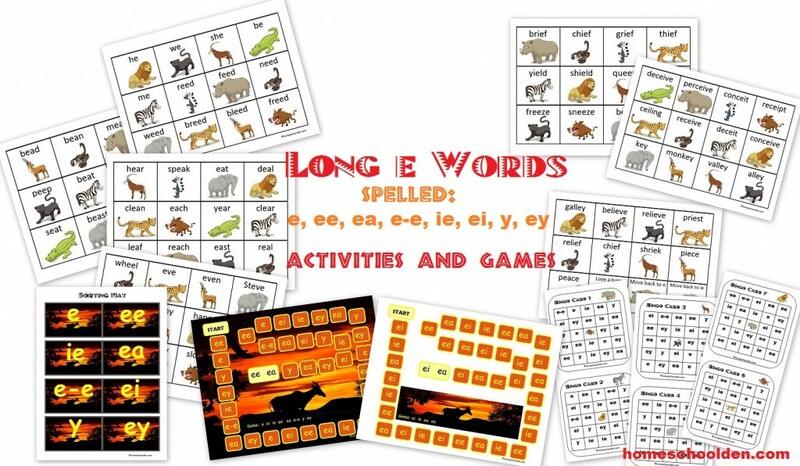 Print out all of the Long A word cards on card stock. Make sure the cards are well shuffled and are in random order. Print out one copy of the board game. Each player needs a token to move around the board. 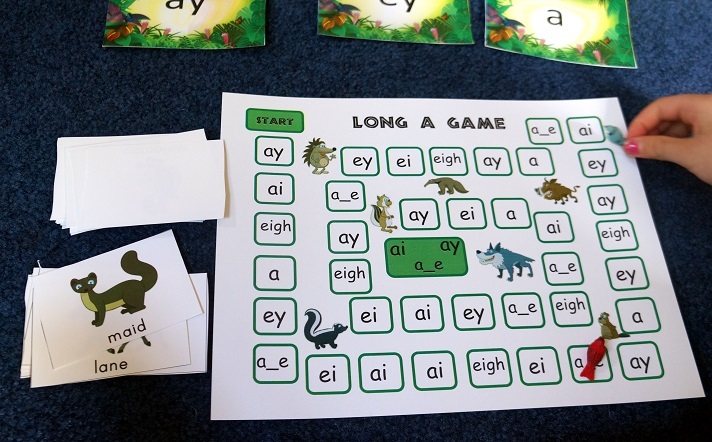 For younger kids let them look at the card, read it, and go to the first space available with the long A spelling that matches their card. For more advanced kids, read the word for them and have them identify which space they should go to. For example, read the word “trail” aloud and have them tell you that they need to go to the ai space. That is what DD has done when she has played with me and ED. The first player to land on the green square in the center wins the game. There is also a chart students can use to write down some of the words they have practiced that day. That is pictured in the collage below. 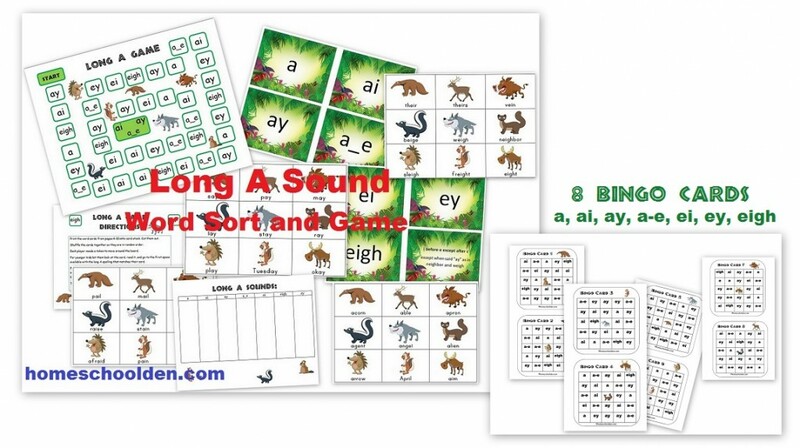 Update, Bingo Cards: This semester, my daughter has been spending time reviewing the Long A-sound Words. I added in some bingo cards. We take turns reading a card aloud; the other player has to say what rule was used. 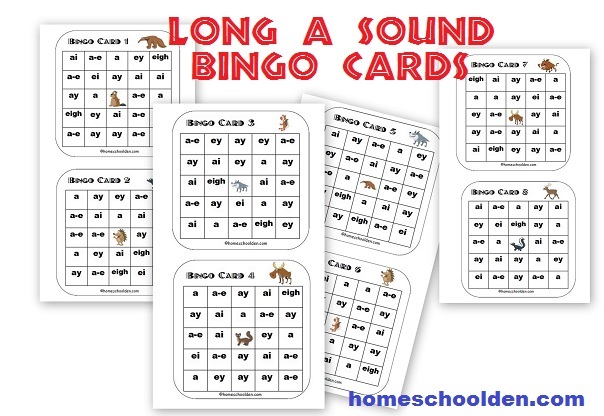 You can cover the spaces with tokens or you can laminate the bingo cards and use a dry-erase marker. 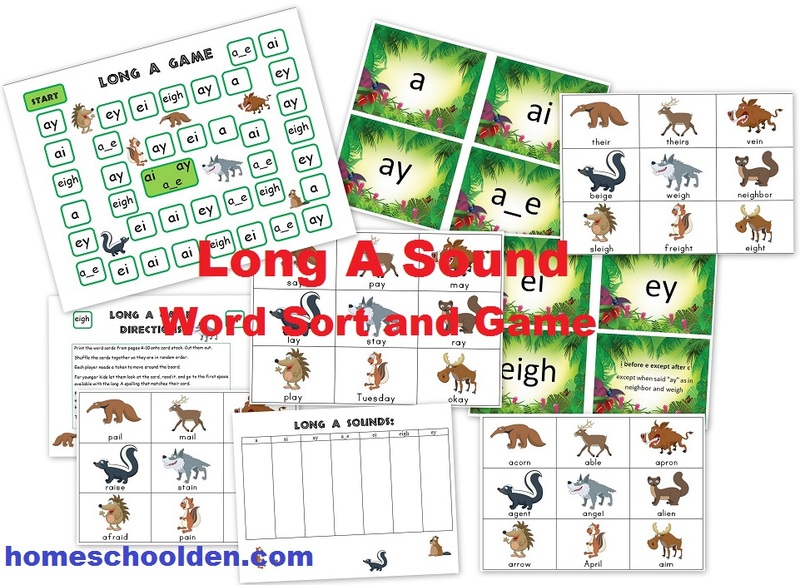 The Long A Sound Packet is bundled with the Long i Sound Activities (Word Sort and Board Game). 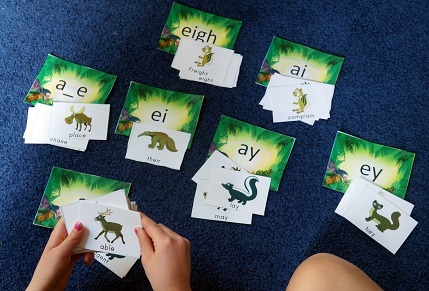 The first section practices the Long I Sound spelled with y, i-e or ie. 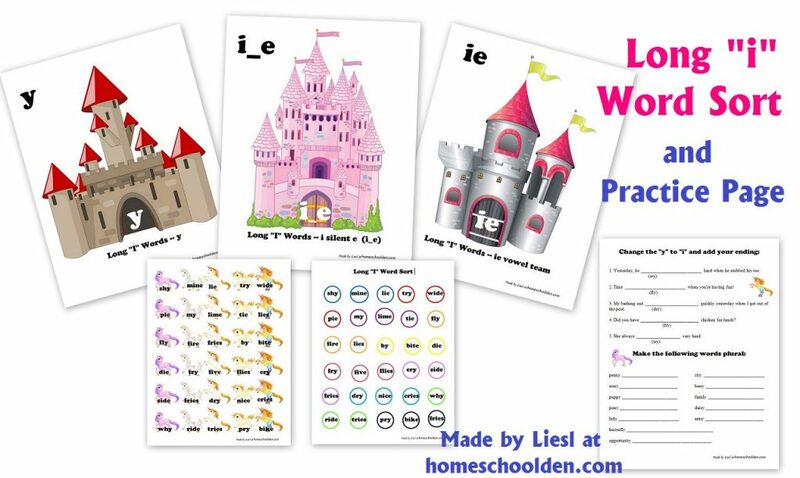 The next section practices the Long I Sound spelled with y, i-e, ie, igh, ind or i. 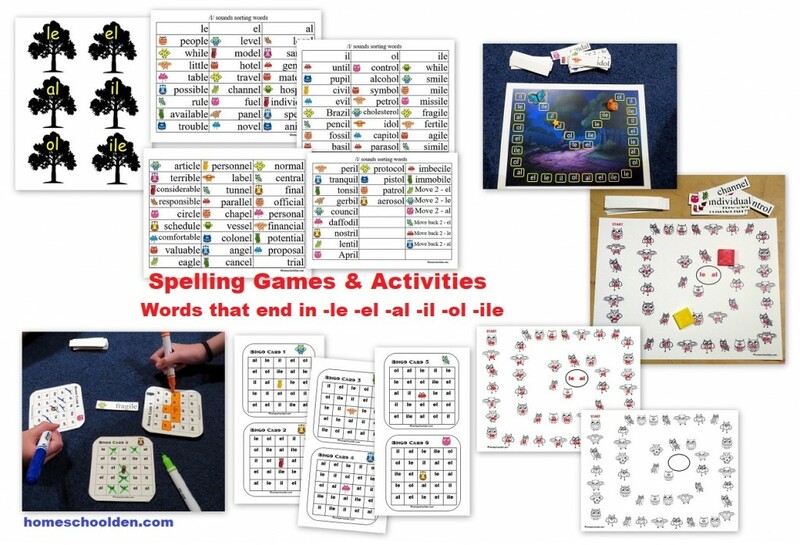 (We covered more rules in our spelling program, All About Spelling (affiliate link), so I made a new set of activities for my daughter.) 🙂 Find out more about why we love the AAS program so much at this post. 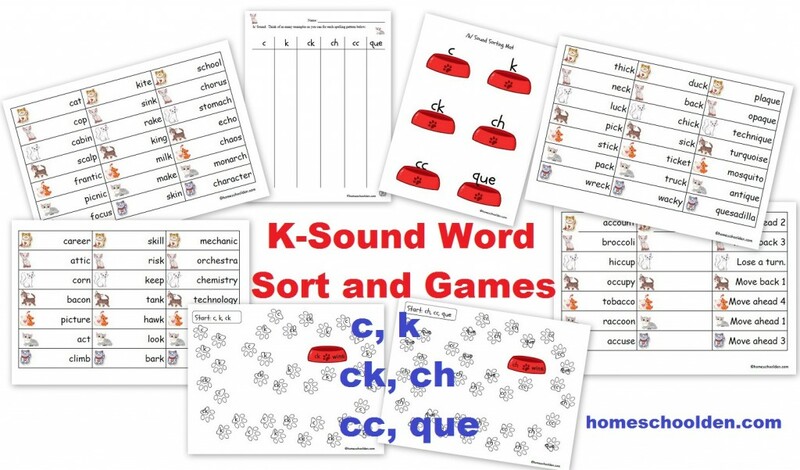 K-Sound Spelling Sort: This set works on the /k/ sound: covering the hard K-sound with spellings c, k, ck, ch, cc and que. 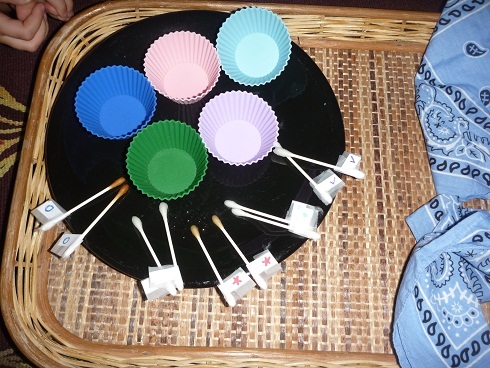 Cupcake Contractions — A free sorting activity and worksheets for practicing changing words such as don’t, hasn’t, won’t, wouldn’t, he’d, etc. That’s about it for today! See you again soon here or at our Homeschool Den Facebook Page! 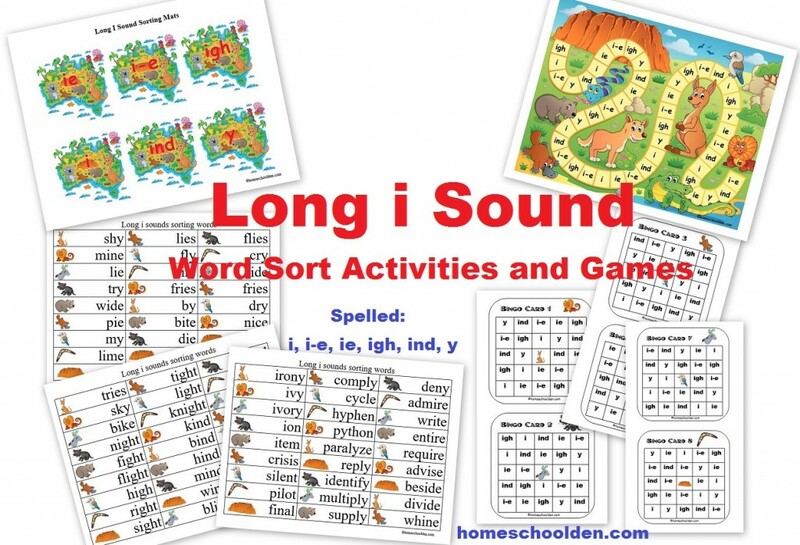 Don’t forget to Subscribe to our Homeschool Den Newsletter! You might also want to check out our Language Arts Resource Page which has links to dozens of free grammar pages. And don’t forget to check out Our Store as well.